Berry writes to Mrs. Weber with a receipt for the money for the four quilts that she had ordered from Berry. 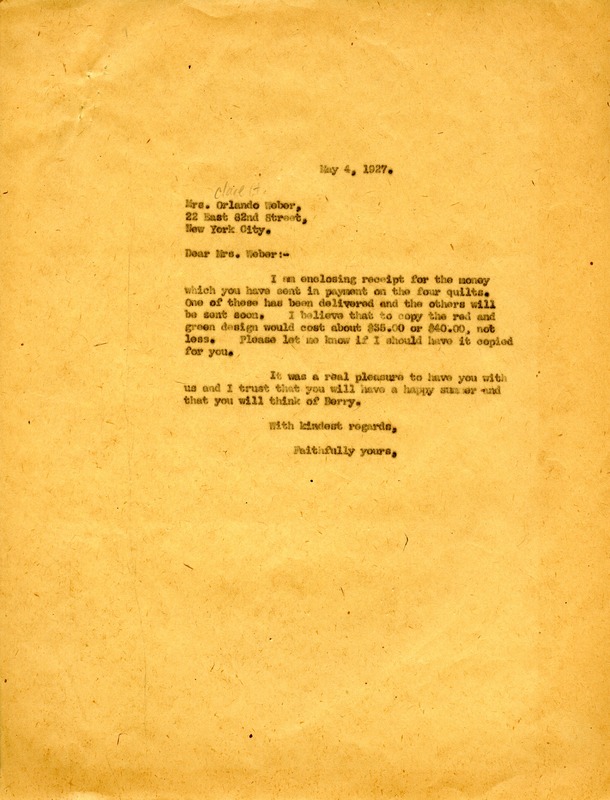 Martha Berry, “Letter to Clare H. Weber from Martha Berry.” Martha Berry Digital Archive. Eds. Schlitz, Stephanie A., Sherre Harrington, Aaron Jackson, et al. Mount Berry: Berry College, 2012. accessed April 23, 2019, https://mbda.berry.edu/items/show/5962.